A little over a decade since its first publication, the hypotheses set out in Manuel Castells’ groundbreaking trilogy have largely been verified. 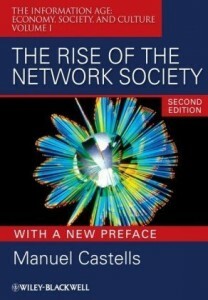 In a substantial new preface to the first volume in the series, Castells demonstrates, in the light of major world trends, how the network society has now fully risen on a global scale. Castells, Manuel. The Rise of the Network Society: The Information Age: Economy, Society, and Culture Volume I. Wiley, 2009.